Turn your love into words this Chinese New Year and share it out with Julie’s to the people you care . Chinese New Year just around the corner , Julie's made up an campaign by writing down our most sincere messages to loved ones . With the “Spread Your Joy and Share Your Love” , Julie’s encourages everyone to send their warmest regards to the people they care about and fill the air with love and warmth this festive season . 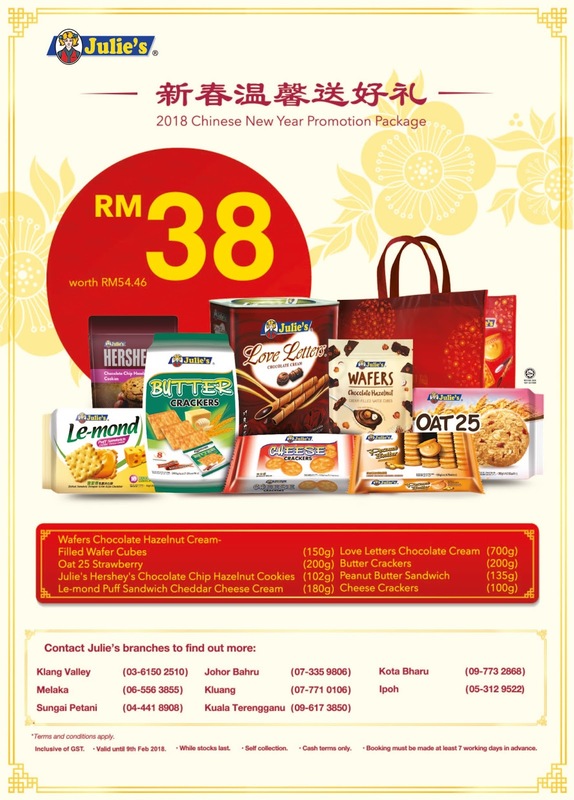 During Every Spring Festival , everyone will buy biscuits or soft drinks to welcome friends and relatives to their warm welcoming house during the Chinese new Year festival , And Julie's Love Letters must a have biscuits all the time since it's was Malaysian favorite for decade . 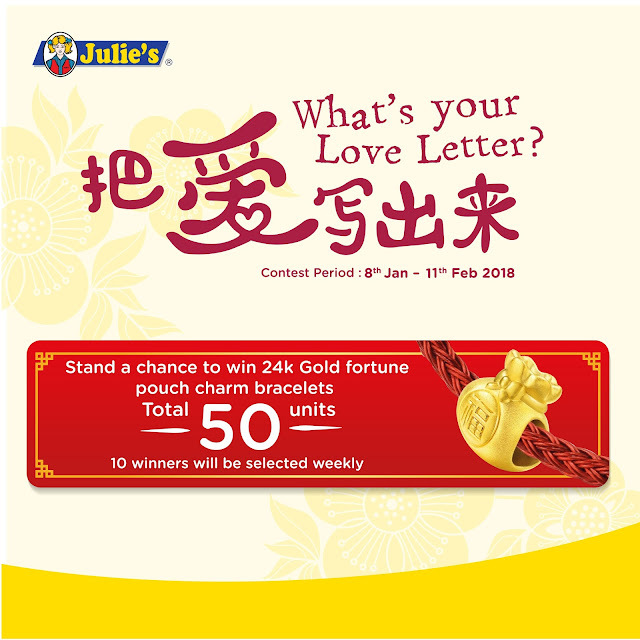 Julie’s launched the “What’s Your Love Letter?” 2018 Chinese New Year campaign at Sunway Velocity Mall yesterday with Julie’s Malaysia Senior National Sales Manager Mr. Dennis Swee Jing Wei said " Julie's are continuing their annual tradition of encouraging everyone to pen down their heartfelt messages and send it out to their loved ones . 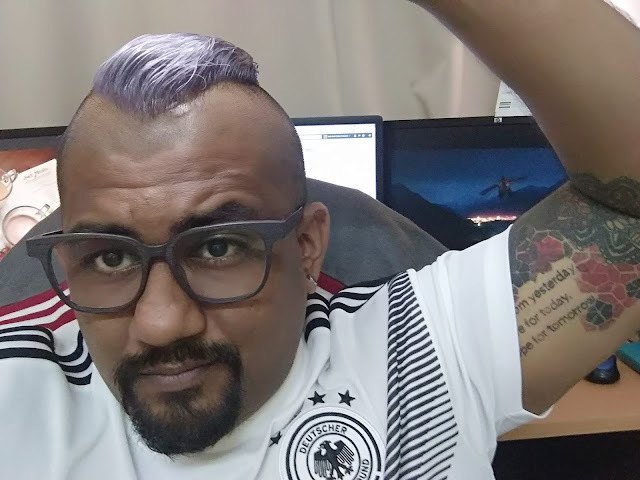 At the same time , they also wish that everyone can share their love and care to those who need love , and together make our society a better place " . He said since its initiation in 2015 , Julie’s “What’s Your Love Letter?” Campaign has received warm response from the public . The objective has always been simple , to write down your feelings and turn those touching moments into an eternal memory . “Since we initiated the “What’s Your Love Letter?” Campaign, we’ve been receiving overwhelming response from the public. 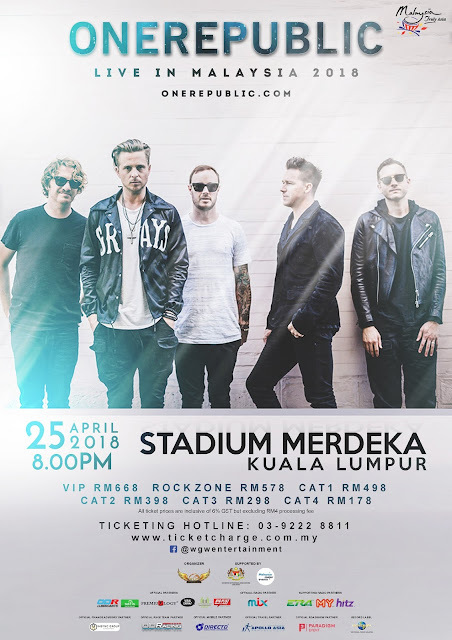 Over the years, we have done this is several ways, from postcards to last year’s “Love Invites”, we continue this effort of showing love through words to strengthen the relationships. 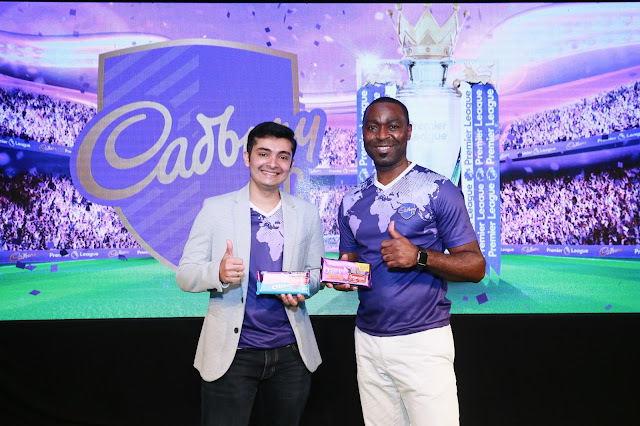 Because of the public’s support and participation, we are confident to let this beautiful tradition continues,” . 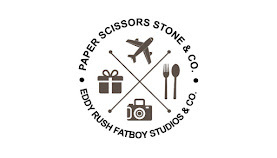 “To celebrate this year’s Chinese New Year, we have designed a special ‘Fudai’ along with our 700gram Julie’s Love Letters. Inside the Fudai, there is a Love Note for you to write down your blessings and thank you notes for your friends and relatives. Julie’s hope that in this New Year, we can bring more love and hope to everyone beside us,” he added . 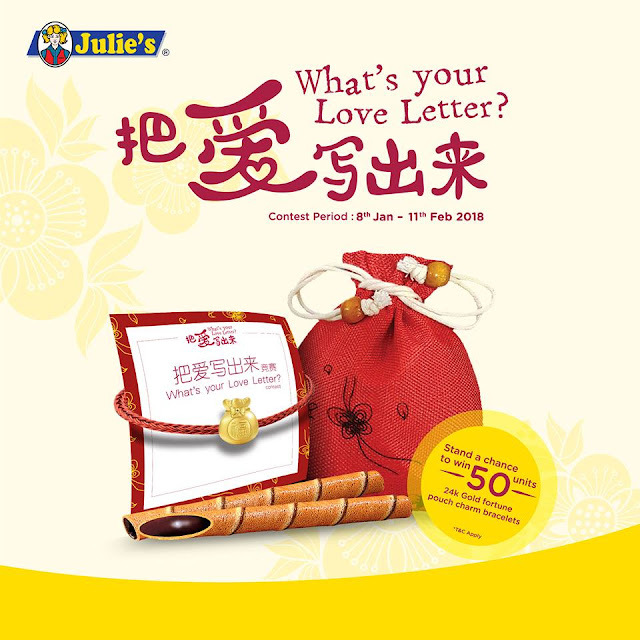 This year , Julie’s Love Letters launched the “What’s Your Love Letter?” Contest . 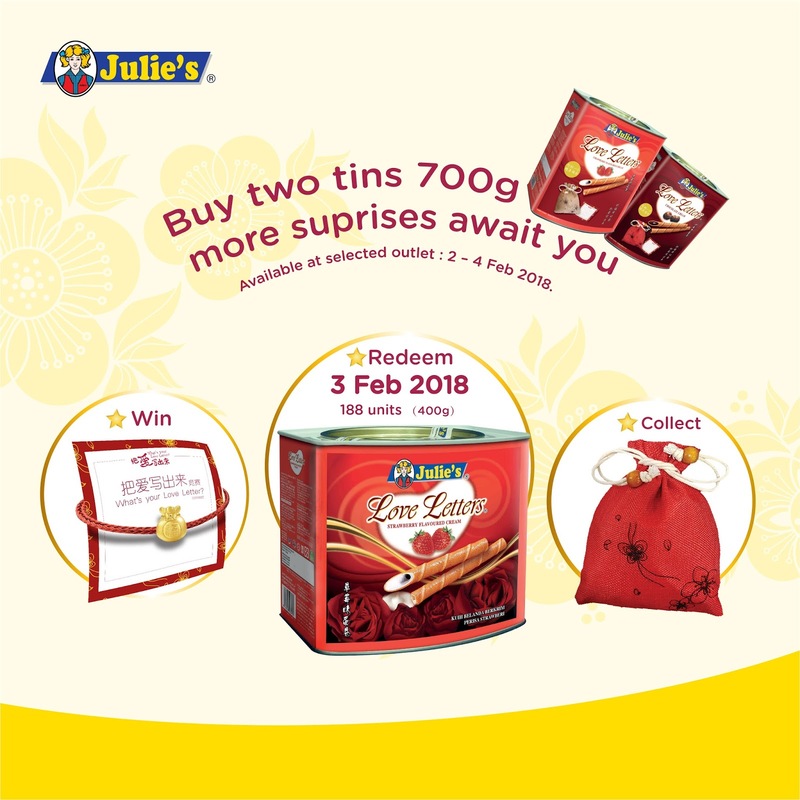 With the Purchase of two tins 700gram Julie’s Love Letters from Jan 8 to Feb 11 , 2018 and write down your love message within 20 words on the Love Note . Fill in your personal details , attach the receipt from your purchase and participate by dropping your contest form inside the giant Julie’s Fudai at Julie’s promotional block or post it to Julie’s mailbox . The top 50 most touching messages will stand a chance to win a 24K Gold Fortune Pouch Charm bracelet . 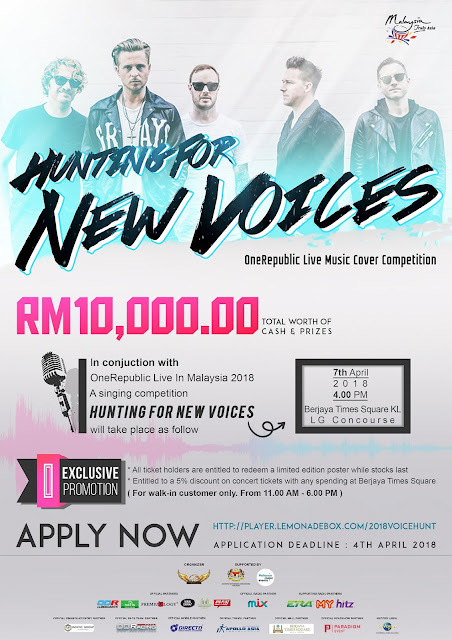 10 lucky winners will be selected weekly . When the Spring Festival comes , every house will stick on " 福͌ FU" . This word has been brought from many decade till today that brings blessing to everyone prosperities during the Chinese New Year . In 2018, Julie’s will continue their “What’s Your Love Letter?” Campaign and Chinese New Year promotion around Malaysia .